Sometimes there is a condition where we need to show an important information, make an announcement, or promote a products to customers, and the content to present such matters will need more than just a text. 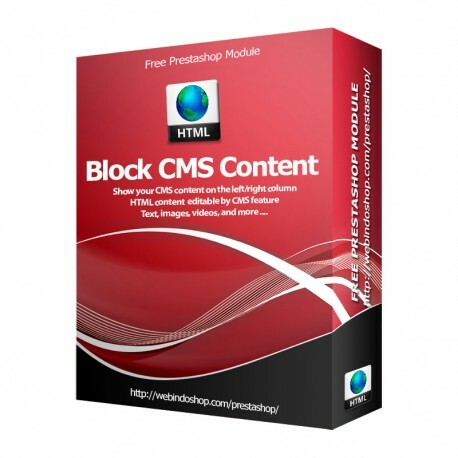 Prestashop had a built-in CMS feature where user can easily write an article with a text, links, and insert some images or videos. But this article can only be displayed to customer on the CMS page. Therefore this module was developed to be able to display the certain cms content on the left or right column of your prestashop, so the informations presented in cms content will be easily seen by customer. CMS it self can be disabled, so it wont be displayed on the cms page and can't be searched as an article but displayed on the left or right column.